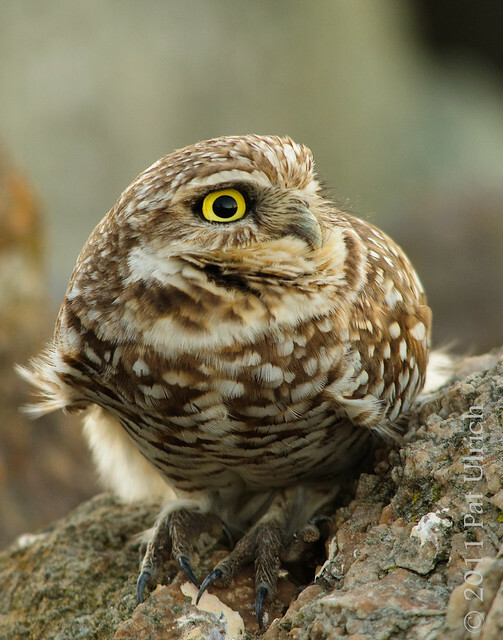 Another shot of a wintering burrowing owl at the Berkeley Marina. One of the great things about these guys is that when they find a burrow they like, they'll keep it for a while -- which means that they are reliably easy to find once you know where they are. I'm still waiting for a nice shot of one of the birds that is in the grassy area for this season. I have plenty of shots of it more than halfway in its burrow, but I'd like one with a bit more owl showing. 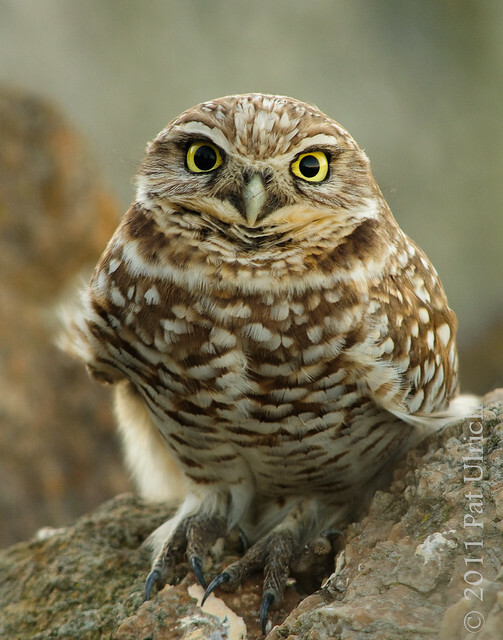 However, this owl hangs out on top of a rock quite frequently, which means you can see the whole bird. Awseome close=up of a very impresive bird! I found your blog through DPS. All I can say is "breath-taking". I'm just beginning [to learn] and your photos are very inspiring. Producing one of these would set me up for months. Great photos Pat. I love their faces. I see them at Point Reyes, but part of the bird is always in a burrow. Thanks for your kind words, everyone! It's always fun to get to see these small birds up close. @Jim: I have the same experiences at Cesar Chavez park with the other owls there. I keep going back hoping to get them more out of their burrows. This particular owl has selected a burrow among the rocks, so while he can disappear out of sight he spends most of his tmie on the rocks. Elephant Seal Beachmaster -- My 200th Blog Post!